This vital portrait of Ruth Bader Ginsburg traces her history from trailblazing ACLU lawyer to becoming an outspoken, dissenting liberal voice on the conservative-leaning Supreme Court. The film also portrays a moving love story between Ruth and her husband, Martin Ginsburg. He was far ahead of his time in supporting his wife’s career. 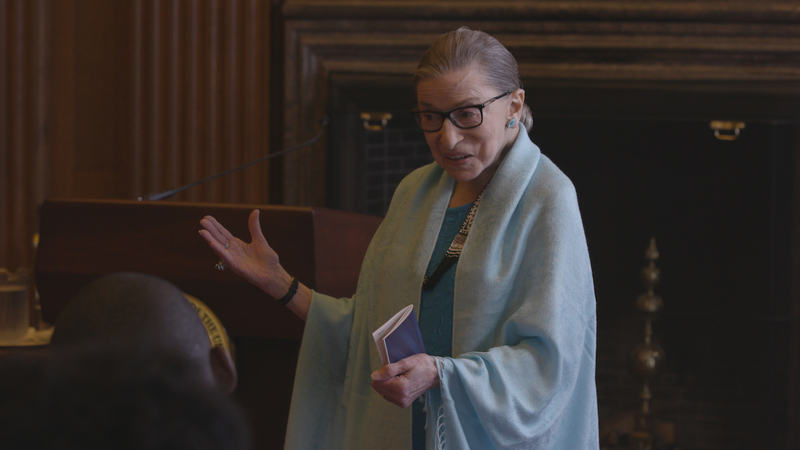 As the push for gender equity grows stronger, we witness how a younger generation has embraced the passionate advocate for equality for all and dubbed her “The Notorious RBG.” Courtesy of Magnolia Pictures/Participant Media/CNN Films.